It’s six weeks until our wedding! EEEEE! Now we’re getting excited. It’s also a couple of days until the third anniversary of my mother’s death, which, since she died, has made April a difficult month in a way that is challenging to explain, and this is something we all experience in different ways, for different reasons. I don’t think I’ve written about the spiral nature of time before, so let’s do that now! The new development is happening at the top of this spiral, where we are making our immediate choices, but the entire spiral continues to grow over time. This is why a lot of the events in our early life continue to loom large for our lifetime. (I’ll leave out the idea of alternate timelines for now.) 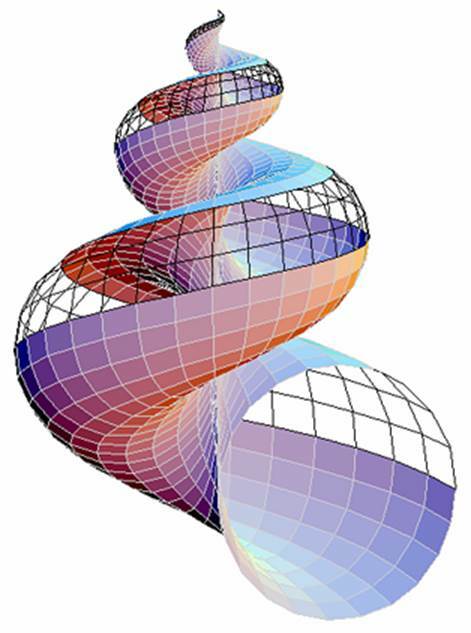 Things that affect the base of the spiral can affect the whole pattern of development – or at least be felt every time the cycle comes around again. Every time you come back around to a point in your spiral, say 3 o’clock, and your consciousness aligns with another point on that spiral, further down, in the past, that position on the spiral and the alignment with that event tends to trigger memories, strong emotions, and even physical symptoms associated with that event. It happens with positive and negative events, but we tend to notice the negative affects more because it may cause some disruption in our life. Sometimes our “life plans” (and remember what I had to say about life plans in Planners, Wingers and Rafters) we plan into the structure of how we prefer to live incarnated lives with a certain period of “rest” at every point in a spiral. So, for example, if you’re on a spiral that takes 5 years to come a full circle, you may notice every five years you have a period of two – three months where nothing is happening. This might happen in a cycle of temporary unemployment, or a flare up in a chronic illness forcing you to take some time off for a few months every five years. If you’re able to identify those cycles for yourself, then you can embrace them to a degree and make a plan for them. Maybe you can make time for a vacation, instead of burning out every few years (speaking from experience there), or maybe you embrace the idea that you like to move to a new part of the country every 10 – 12 years. Hey, guess what, we are not all on the same cycles of creativity. We may live on the same planet, but that doesn’t mean that a year for one person will equal one of our years in terms of energy we feel, or things we produce. We ALSO have more than one type of spiral happening as we live. We are on an annual / seasonal cycle as dictated by our lovely planet Earth and the cycle she is on, which is easy to be aware of, but we are also on spiritual cycles of growth, rest, retreat and rebuild. Sometimes, like a rare astrological event, these independent cycles will all synch up, and you’ll experience a massive and uncomfortable shift in nearly every part of your life. I have several noticeable cycles happening. Every 10 years, I feel motivated to make major adjustments to the direction of my life. Every 3 years I notice a shift in my health (usually positive). If something very stressful happens, my body remembers it and will remind me of it when the cycle comes back around again. For example, in my 20s, I thought it was a great idea to move in with a roommate so I could save for a house and possibly go to university. My roommate, unfortunately, thought it was a good idea to go off his medication. This fellow was not an unknown quantity, either. One of my best friends had known this guy for years, and would not have recommended him to me as a roommate if there had been any sign of mental illness before this happened. It was horrifying for me, his family, and all our friends. 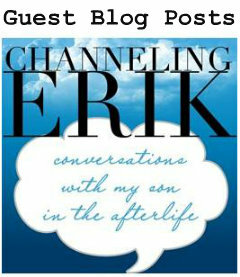 It was so unsettling to see someone unravel off their meds, that it made a big impression on me. It all happened in the spring, and every spring for several years, I would have nightmares about this guy. My brain and body was marking the time whenever we cycled over that bump in the spiral. I think it’s all about embracing your energy spiral, be curious about how you feel without bringing judgment to yourself. Love yourself like those in heaven love you! This is Class 3 & 4 of our 6 Class series! 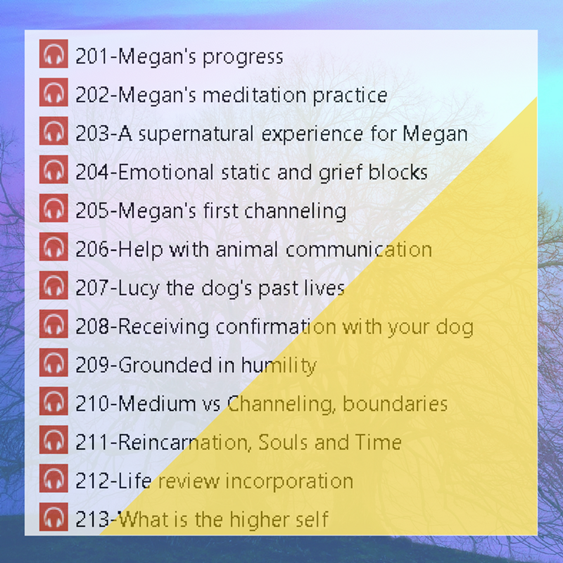 This is an OPEN LEARNING program, meaning that you get to download these audio classes, listen to them on your own schedule, on your own terms, and if you need help, you can book a one-to-one mentoring session with me to help tweak your practice and get you over the little humps and blocks in your progress. If you’re enrolled in the class, you’ll get a nice discount on those mentoring sessions, by the way. 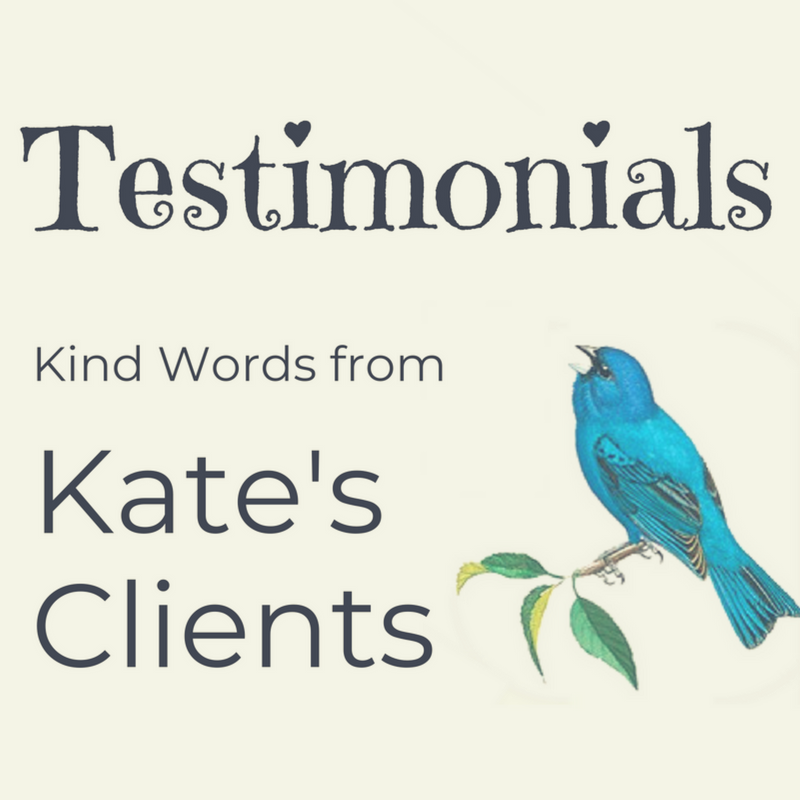 In the past, when people would approach me asking me to help them develop, I’d ask them to please book a session with me, and we would work together one to one, over an hour on the phone, and this has worked well for a few folks… but it’s not practical (too expensive) for a lot of people who are just starting out. And honestly, I don’t like to ask someone to pay for a one-to-one session with me when I’m repeating myself as I go over the basics with each individual. For years I’ve wanted to put all the important groundwork together in a way people could access at their own pace, so that if they do choose to take me on as a mentor, we can get right to the heart of their personal practice and challenges. 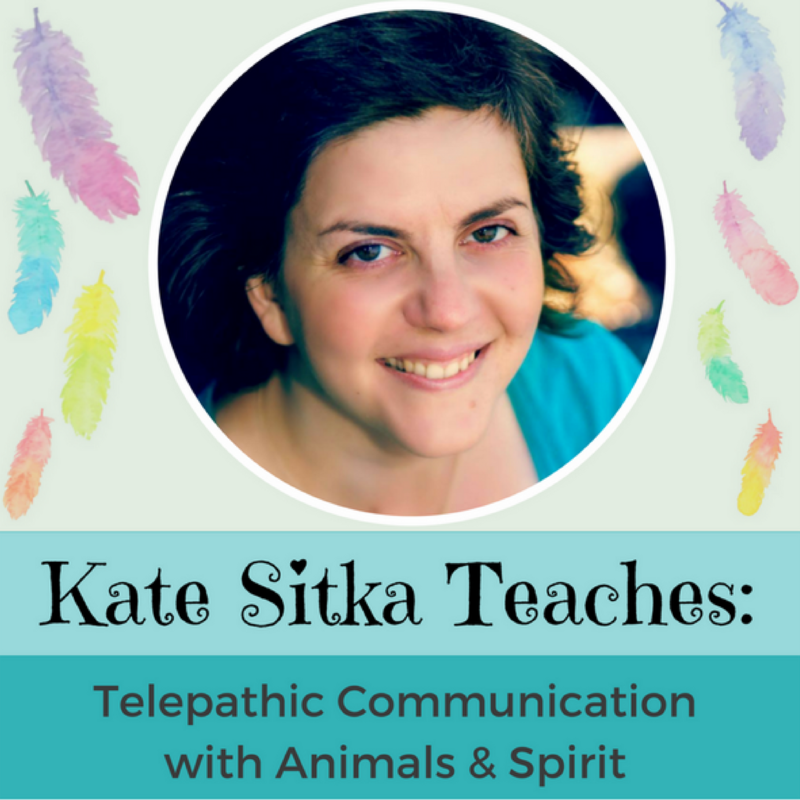 This is literally four hours of me talking about telepathic communication, on top of the three plus hours I talked in Class 1 & 2! I could not have done this without Megan, my partner in teaching and learning. 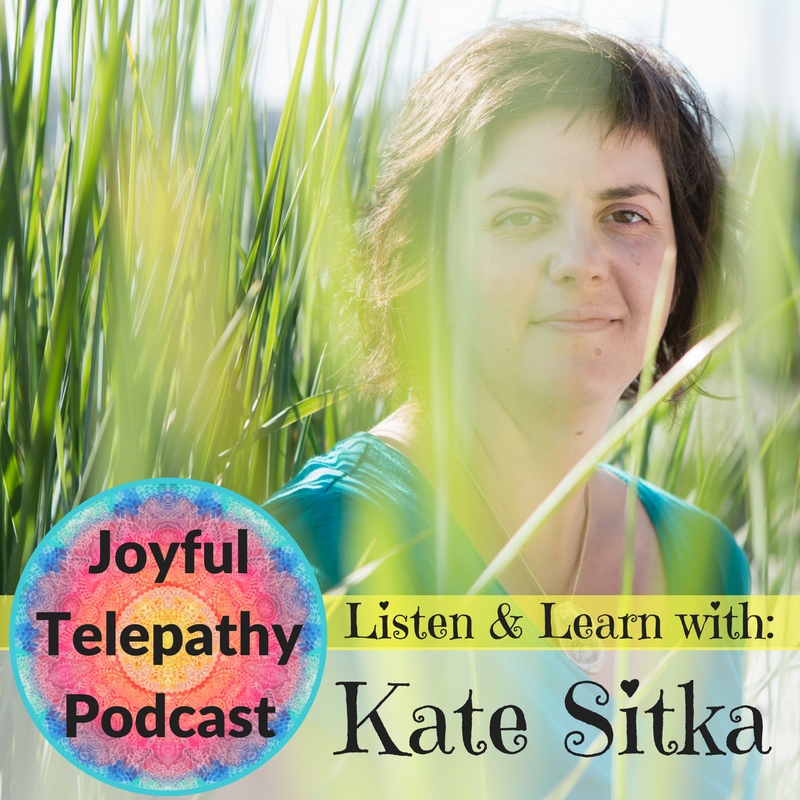 She shares her own journey with us, and she asks so many brilliant questions that I would never have thought to address if I did this on my own. 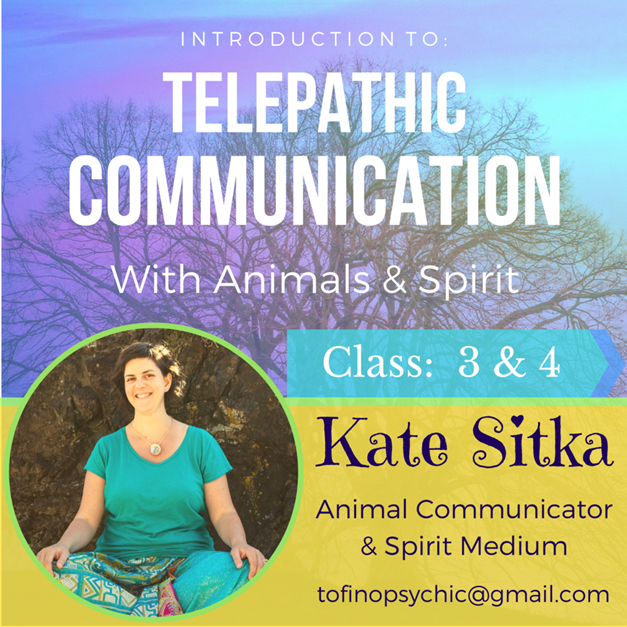 If you’re not already a blog friend, sign up here to get my blog friend rate for these classes! I really love teaching, and it would be my great pleasure if you joined us. ← Class 3 & 4 is ready!